Remove the PCV hose. 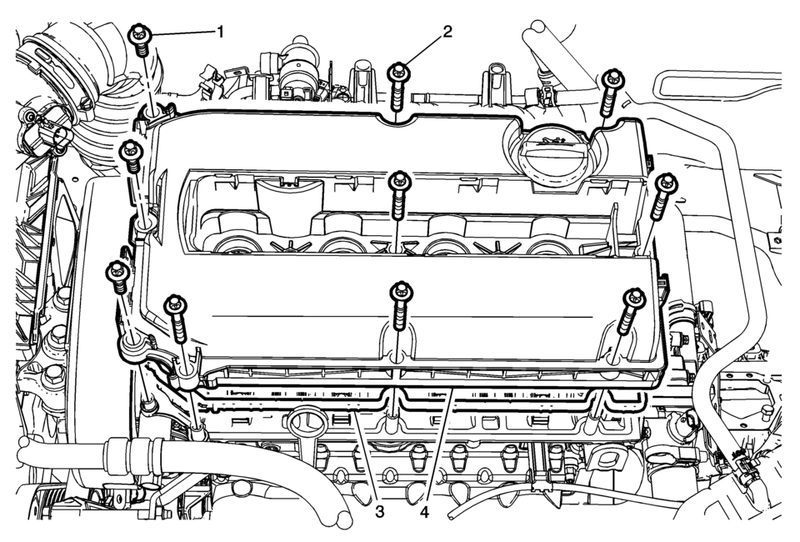 Refer to Positive Crankcase Ventilation Hose/Pipe/Tube Replacement. Apply pipe sealant to the center bolt during reinstallation. Refer to Adhesives, Fluids, Lubricants, and Sealers. Do not reuse the camshaft gasket. Also use a new gasket when removing or replacing camshaft cover. Remove or reposition the clips as necessary. Disconnect electrical connector as necessary.